The red is actually quite a bit darker than this. As I wrote yesterday, I made a couple of little things for little hands over the weekend. After a week of little progress on my larger projects, it was really nice to sit down and not only start but also finish a project in just a couple of hours. I like projects like that; they kind of refresh me. 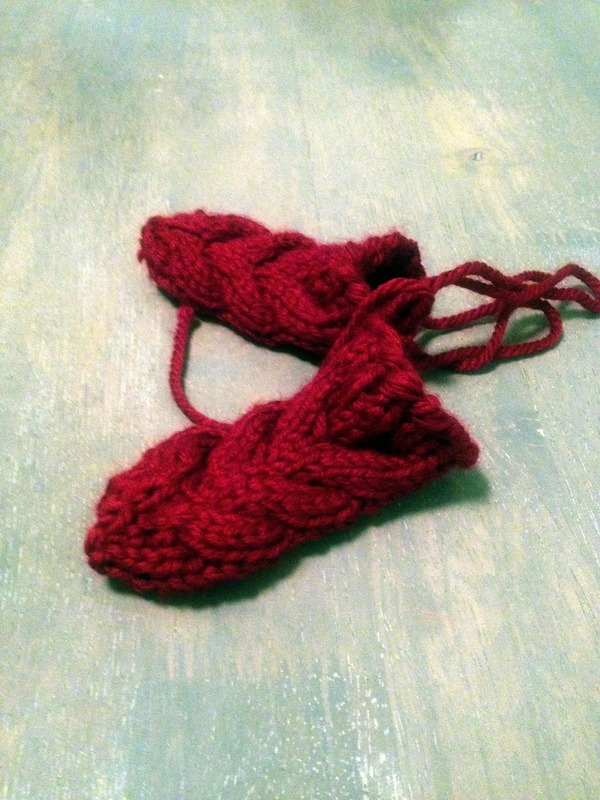 The first ones I did are the Baby Bella Mittens by Aoifa Anctil. I’ve been eyeing these for a while. I really love cabling of all kinds, even though I’m not terribly good at it. This was, at least, a very basic, easy cable. I think it took a total of 2 Torchwood episodes (a little under 2 hours) to finish this project. The second ones I did I’m not entirely sure which pattern I used. 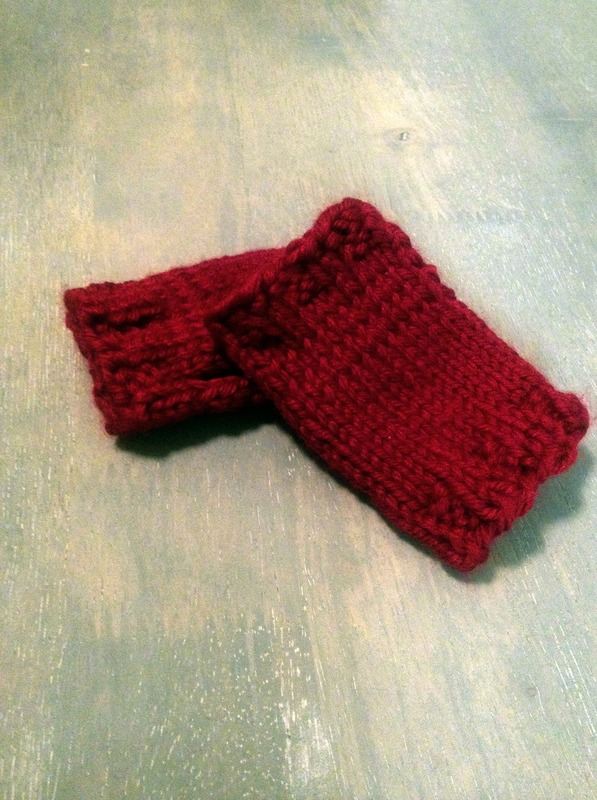 If I had to make an educated guess, I think I used Basic Baby Mitts by Wendy Poush. See, the thing is I made the first one on Saturday and closed all my windows. I never saved the pattern to favorites (which is really odd for me). Luckily, I had pretty much memorized the pattern, which is by no means a difficult one. I’m really happy with how these turned out. So that’s two items to the little person presents stash. I’m thinking next should be a couple of hats, and eventually I’ll move up to tiny baby sweaters. Have I mentioned I like little things? My mom’s shawl is finally rocking along just fine. I managed to get about 10 rows done on it before crashing last night. I’m having a bit more trouble with doing the shawl on magic loop than I anticipated. For mine, I used dpns and then graduated up to a circular needle once I had too many stitches to reasonably manage on dpns. This time, I started and stuck with the magic loop. I think I just need to get the hang of it and it’ll be okay. No new progress on my shawl or the socks. Oh, those poor socks! I know I’ll eventually get back to them. It’s just my mom’s birthday is now exactly 2 weeks away. That means, my shawl, my stocking blank, the socks, and anything else has gone on the shelf. All of that, of course, prompted my husband to exclaim the other day, “You sure have a lot of projects going on.” No kidding. Very cute…I love the cabled ones. So cute – those cables are beautiful.